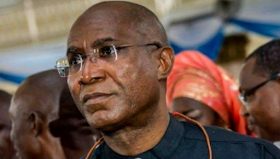 The Court of Appeal sitting in Benin, Edo State, has reaffirmed the nullification of the reelection of Ovie Omo-Agege, the senator representing Delta Central district on the platform of the APC, and that of Francis Waive, who was declared winner of the Ughelli North, South and Udu House of Reps seat. 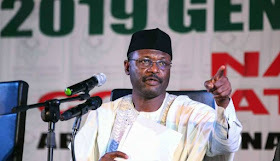 In a judgement delivered by Justice Tosin Adegoke On March 18, the Federal High Court 1 sitting in Asaba, the Delta State capital, had sacked the Great Ogboru/Ovie Omo-Agege factional state executive committee of the APC led by Jones Erue and upheld the O'tega Emerhor faction led by Cyril Ogodo as the authentic state executive committee. The Federal High Court also nullified all actions taken by the sacked Erue-led executive, including ward and local government congresses, party primaries and the list of candidates that emerged from the primaries held by Erue’s faction, declaring it null and void. Following the judgement of the Federal High Court, Omo-Agege and Waive had approached the Court of Appeal sitting in Benin to seek the leave of the court to appeal the judgment nullifying their candidatures and reelection. At the hearing of the case on Friday in Benin, the Court of Appeal dismissed the case filed by Omo-Agege and Francis Waive seeking a leave of court to appeal the Federal High Court judgement which sacked the Jones Erue-led state executive faction of the APC and nullified the list of its candidates. After dismissing both applications for lacking in merit, the Appeal Court awarded a fine of N300,000 each against the two APC candidates. The court said the plaintiffs could not claim to be unaware of the case, and as such they could not seek to be joined or challenge the judgement at this moment.